The BBC, in conjunction with The Lonely Planet, has voted English speaking Belize (along with the Seychelles) top of “The five best getaways for a royal honeymoon” for Prince William and Kate, and Reese Witherspoon has been recently spotted on the Caribbean shores celebrating her marriage. 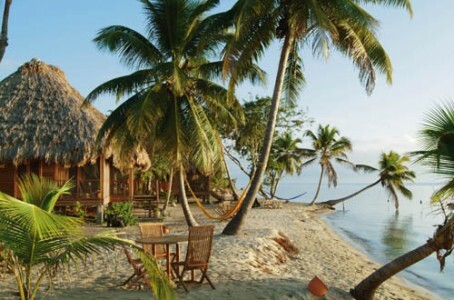 With the second largest barrier reef located close to shore, pristine jungle, myriad Mayan temples and a wonderful Caribbean and Central American vibe, it is no wonder why Belize is developing a reputation as a beautiful, exciting and unique travel destination. We have taken all the work out of the planning with our new ‘Hammock Honeymoon‘ Tailor Made itinerary, for the ultimate pampering getaway. Comments Off on Hot honeymoon?